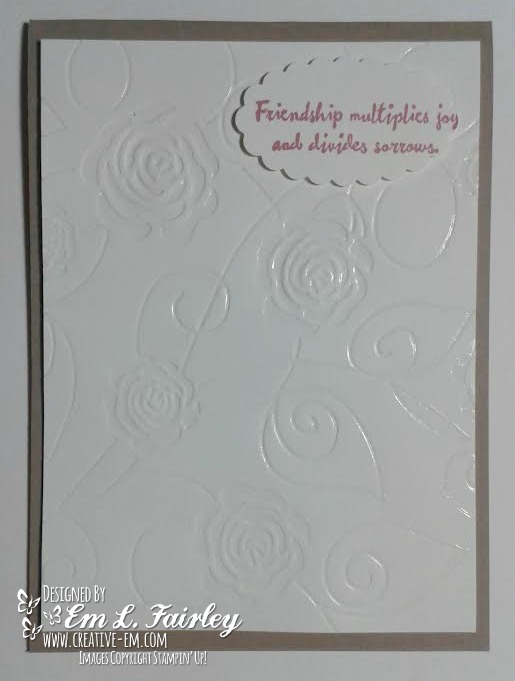 Today's card features the debossed side of the rose embossing folder, and shine from filling it with SU's Fine Tip Glue, hence the title of the post. 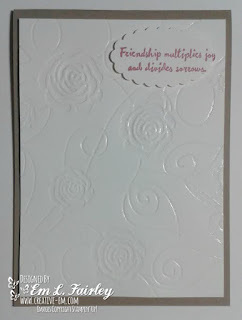 Labels: Artistically Asian, embossing, Scallop Oval Punch, Stampin' Up! Beautiful card with great technique! Very pretty, I love debossing too. What a lovely card Em - and such a great idea with the filled debossing too! Wonderful card - love the embossing.